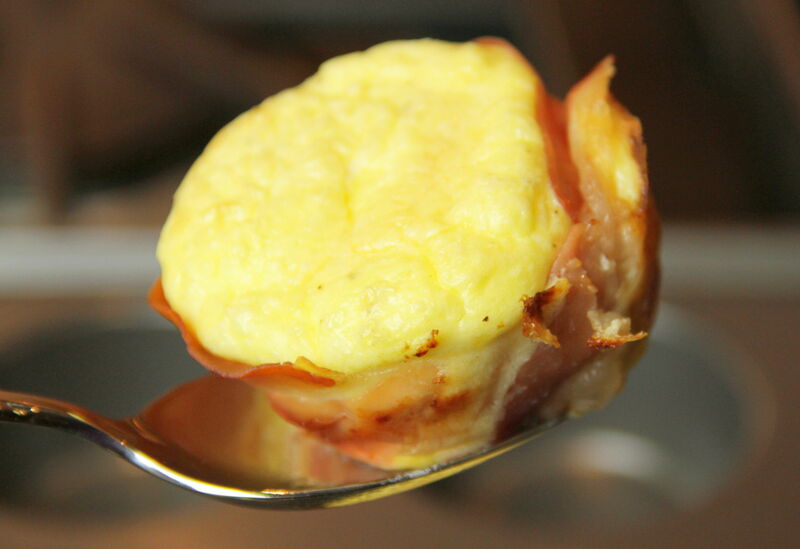 For several months now, I’ve enjoyed making the crisp, salty Prosciutto Egg Cups my friend Michele told me about. So much so, in fact, that I wanted to experiment with the recipe to change them up a little. What if I whisked eggs with some seasonings instead of cracking them whole into the center of the prosciutto? I was fumbling with exactly how I should season these imaginary eggs – savory herbs? Spicy pepper? Perhaps some thin-sliced mushrooms? when I had an ‘aha’ moment. A friendly stranger told me about the most divine lemon ricotta pancakes she had enjoyed at the Stoneacre Pantry in Newport, Rhode Island. That was it! I would put an Italian slant on my whisked eggs, adding lemony ricotta cheese, a dash of parmesan, and a sprig of fresh, green basil. The ricotta-laced eggs emerged from the oven all puffed up and popover like – their warm insides a delightful cheesy fluff; a savory cheesecake. The salty exterior provided a crispy counterpoint to the delicate melt-in-your-mouth middle. If you decide to make your egg cups without their prosciutto wrapper, be sure to add a generous amount of salt to the egg mixture before baking or they may taste a bit bland. And, if you’re wondering about those divine pancakes, well, frankly, so am I. On to the next experiment, and hopefully, the next divine breakfast in bed. Preheat oven to 350°. 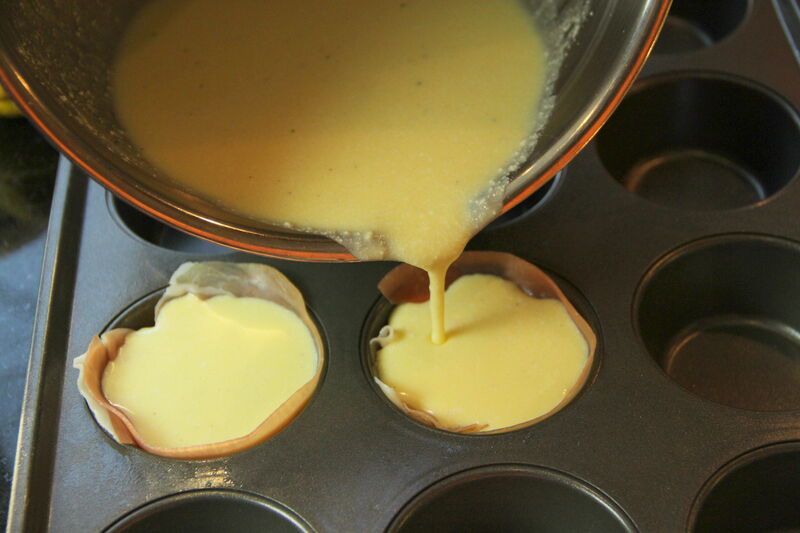 Lightly spray a muffin tin with cooking spray (for as many eggs as you plan to make). 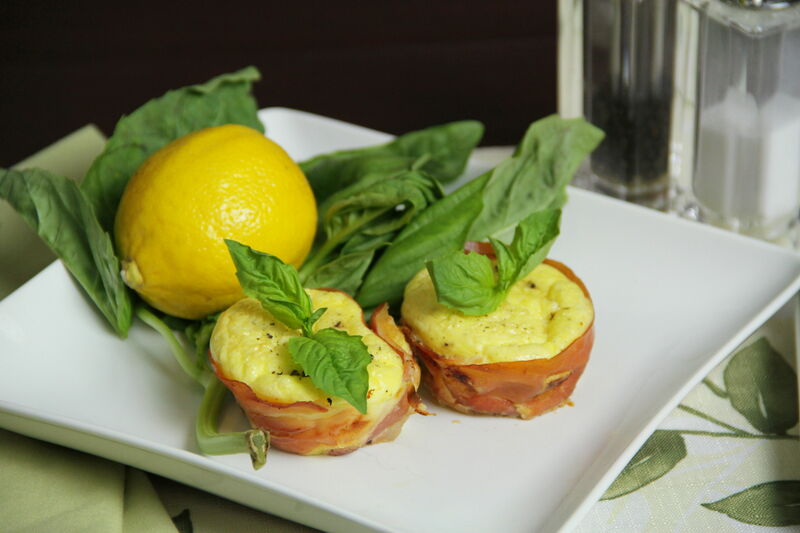 Arrange a piece of prosciutto in each muffin cup, wrapping around the sides and covering the bottom to form a closed bowl. 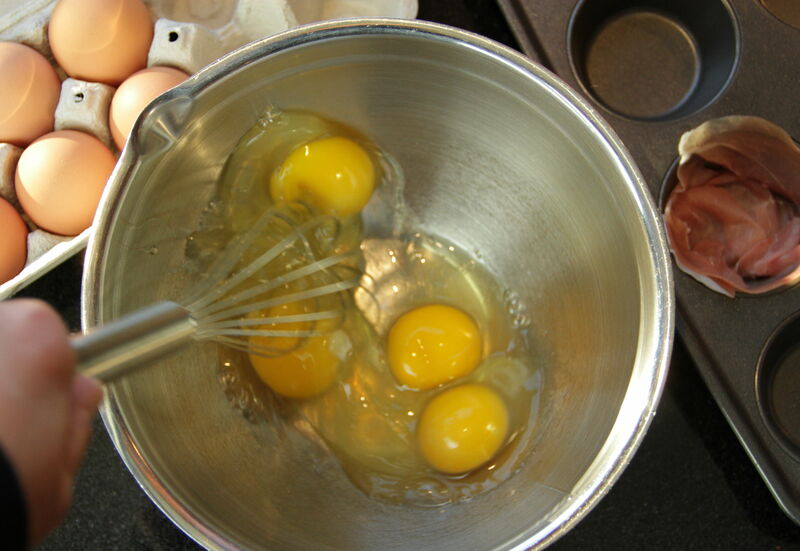 Crack the eggs into a small bowl and whisk until thick and frothy. Stir is ricotta cheese, parmesan cheese and lemon juice. 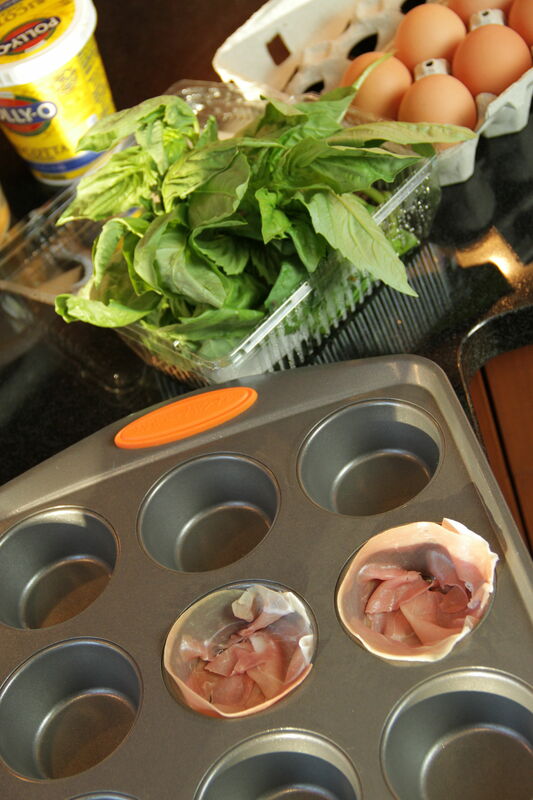 Whisk until smooth and pour egg mixture into prosciutto-lined muffin cups. Grind some fresh black peppercorns onto the top of the egg mixture. Place in oven and bake for around 20 minutes until egg is cooked firm. Carefully scoop out eggs with a large spoon. Garnish with fresh basil and serve hot.